Save the Trouée d'Arenberg ! 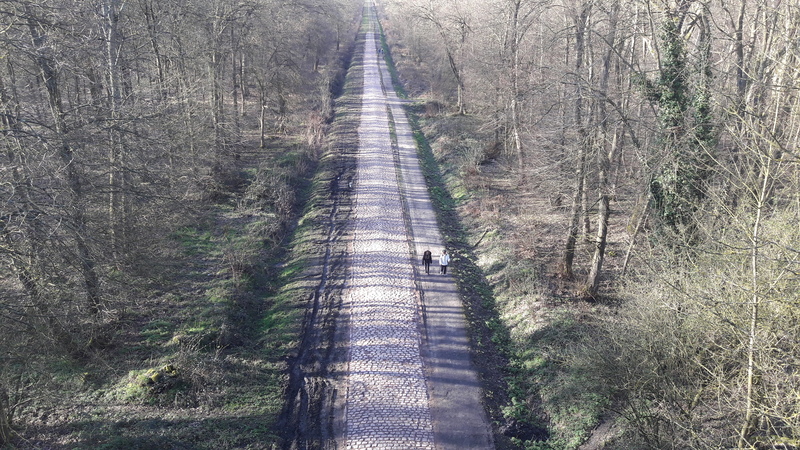 Participate in the perpetuation of the passage of Paris-Roubaix race by the Trouée d'Arenberg ! 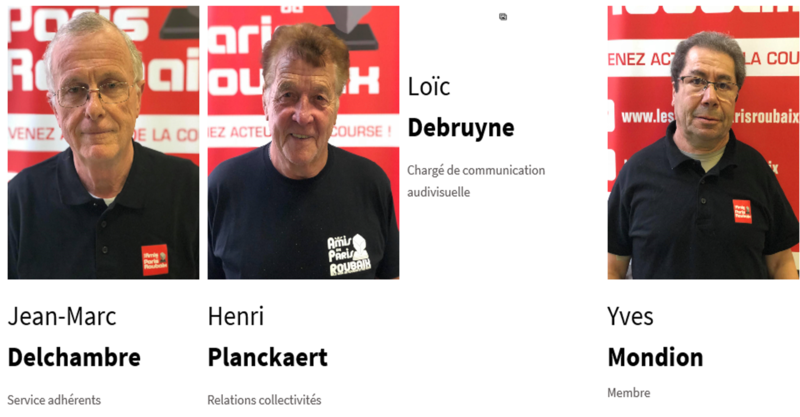 We are " Les Amis de Paris-Roubaix", a society of volunteer people created in 1977. We have 273 members (65 foreigners and 13 nationalities). 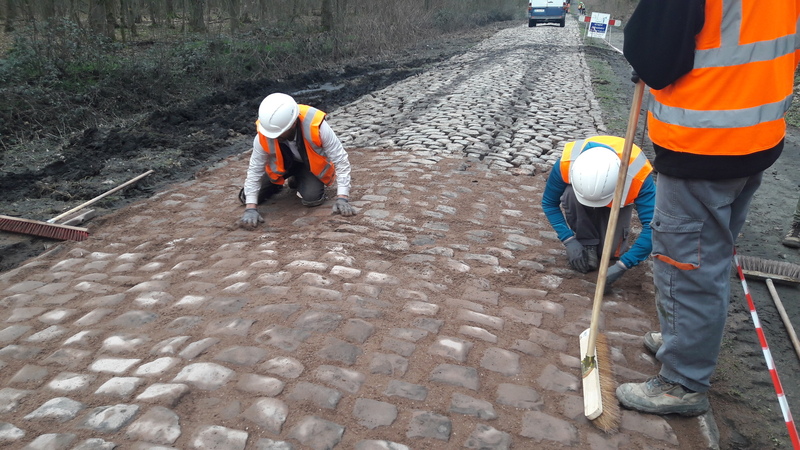 Our first goal is the preservation of the cobblestoned sector that make the fame of Paris-Roubaix. We manage a three-year work plan all along the route. 1) Big works made by companies (300 à 400 meters completely rebuild per year). 2) Medium works made by students and pupils of "Hauts de France" Region horticultural high schools (200 m² rebuild per year). 3) Small works made par volunteer people of our society (some m² per year). 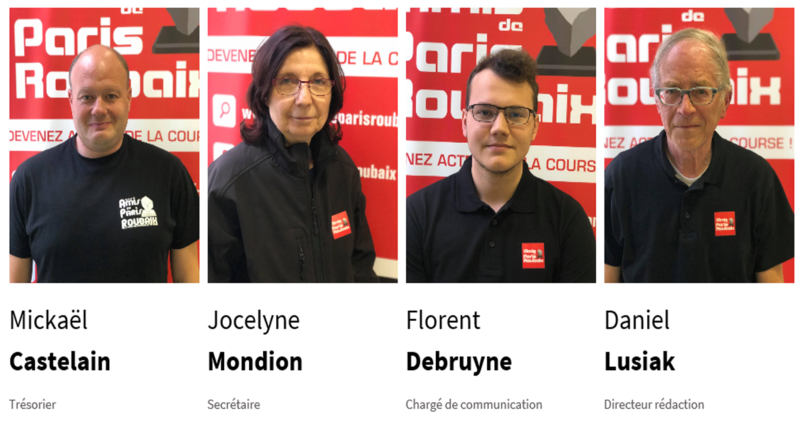 This year, we renovated 3 sectors (Haveluy to Wallers with the high school of Raismes (near Valenciennes), Mons-en-Pévèle with the high school of Lomme (near Lille) and Tilloy to Sars-et-Roisères with the Departement of North). 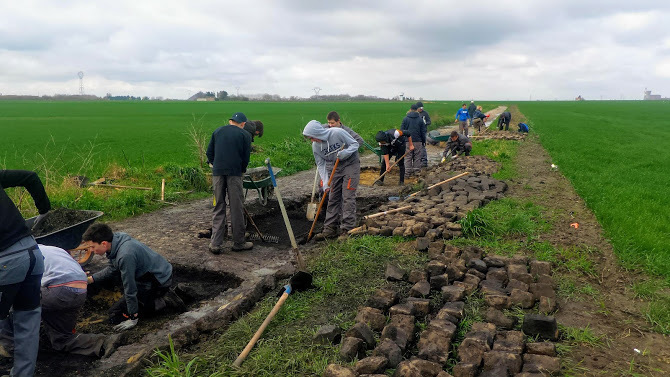 For Arenberg, the 2300 meters of the most mythical cobblestoned sector of Paris-Roubaix suffer from excessive grass that worsens year after year. If nothing is done, the passage of the Queen of Classics will not be guaranteed in rainy weather. Wet grass makes the cobblestones too slippery for competition. Several local governments such as the "Hauts de France" Region and the Departement of North are adding their assistance. But that won't be enough. 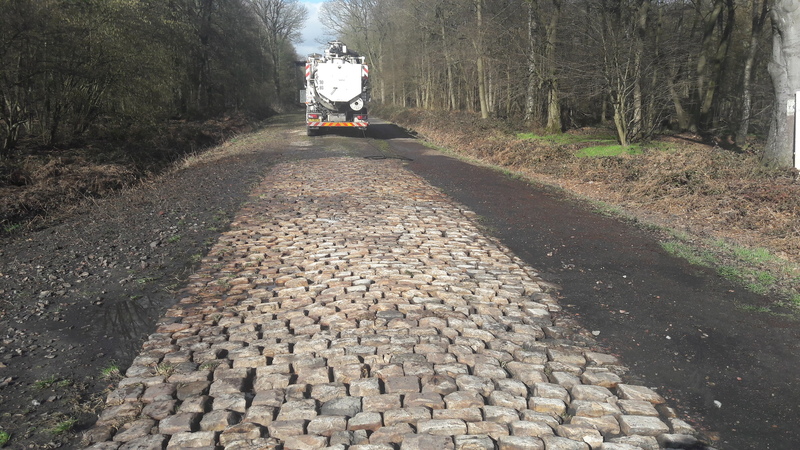 We need everyone’s support to be able to clear the entire "Trouée d'Arenberg" sector. Second phase: to complete the gaps on the last 1400 meters for the end of 2019/beginning of 2020. 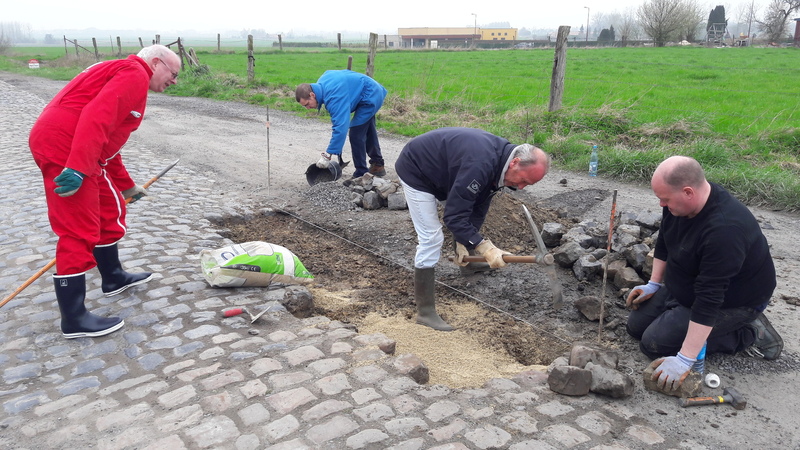 Third phase: to remake the smooth band parallel to the cobbles with stabiliezd sand for 2020. 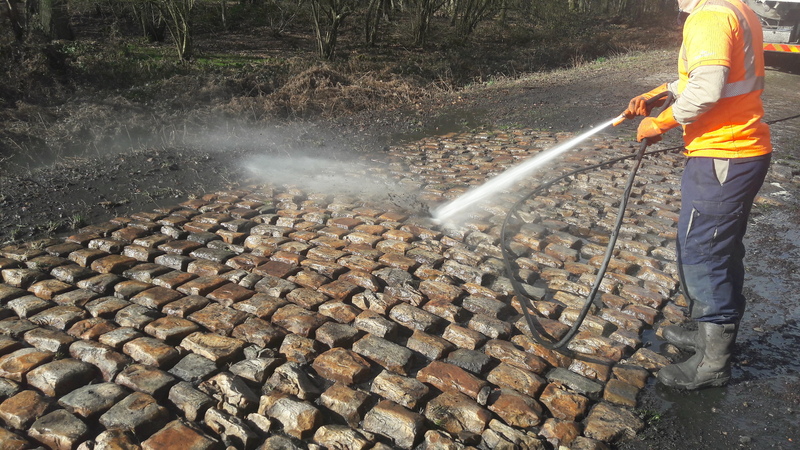 The money collected will be used to complement funding to be able to remake the joints between the cobblestones. The joints will be digged about 5 cm deep with high pressure water, and then replenished with a mortar made from lime ans colored brown. The difficulty of crossing for cyclist riders will be preserved. The sector will remain classified 5 stars. The work on the gaps costs 275 000 € for 2300 meters. Today, we need 85 000 € to complete the work (770 meters). With 110 €, we can rebuild 1 meter of the route. We will increment a counter of the number of meters saved. Once the first goal is reached (15 000 €, 135 meters of the route saved), the crowd funding will continue in order to get the maximum ot meters saved. You will receive a "Trouée d'Arenberg" Builder Diploma indicating the number of cobbles and the quantity of meters you will have saved. They are 250 000 cobbles to be saved ! You will receive a "Trouée d'Arenberg" Builder Diploma indicating the number of cobbles and the quantity of meters you will have saved. They are 250 000 cobbles to be saved ! 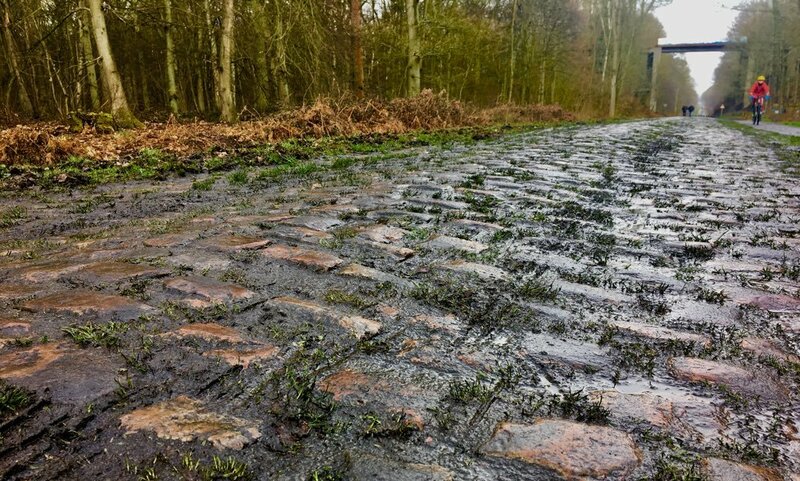 1 "Amis de Paris-Roubaix" membership year 1/2 day to discover the route of Paris-Roubaix in car between Orchies and Roubaix or 1 polo. You will receive a "Trouée d'Arenberg" Builder Diploma indicating the number of cobbles and the quantity of meters you will have saved. They are 250 000 cobbles to be saved ! 1 "Amis de Paris-Roubaix" membership year One day to discover the complete route of Paris-Roubaix in car between Troisvilles and Roubaix or 1 "Amis de Paris-Roubaix" jersey.